We hope you are all doing well, and getting ready for the big confrontation on Saturday! 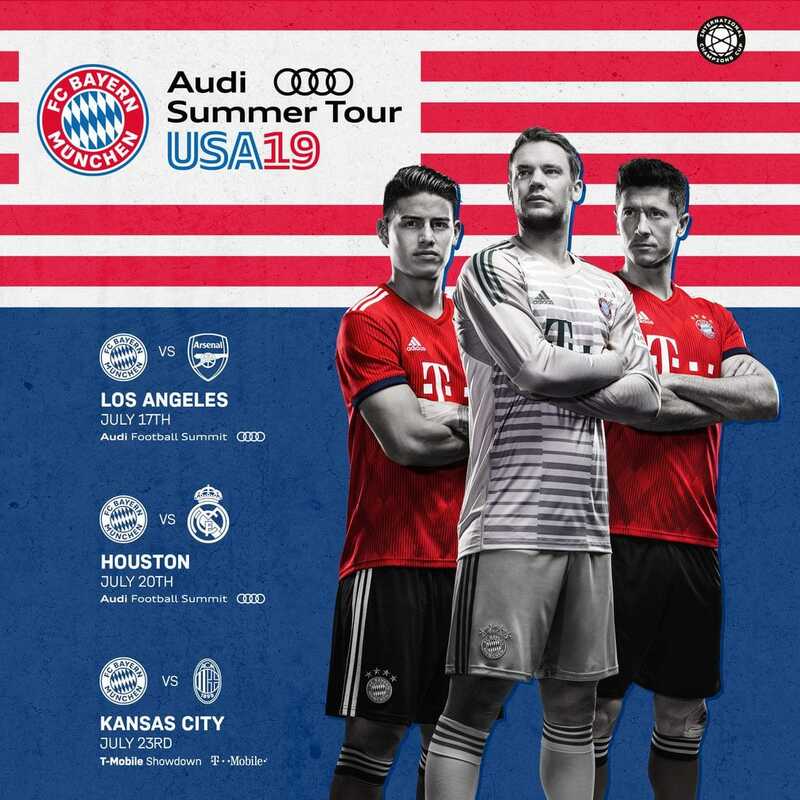 As discussed in our previously related email to you all last week regarding the 2019 summer FC Bayern Tour tickets, please find below the three links to pre-sale for the matches in Los Angeles, Houston, and Kansas City! Even if you missed the bulk deadline, you can always use the below link together the code to purchase tickets in any section you like. The tickets will go on pre-sale at 10 AM local time for each location this morning April 2nd. This means 1 PM for Los Angeles, 12 PM for Houston, 11 AM for Kansas City. Danke, wishing you a pleasant week.